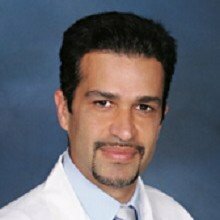 Dr. Ali Salami received his medical degree at Tufts University, School of Medicine. After serving his Internal Medicine internship and residency, Dr. Salami finished his Cardiovascular Disease fellowship at the University of California, Irvine. He continued his medical training and completed his Interventional Cardiology fellowship at the Good Samaritan Hospital. Dr. Salami specializes in Cardiovascular Disease and Interventional Cardiology. He is certified by the American Board of Internal Medicine in both Cardiovascular Disease and Interventional Cardiology.